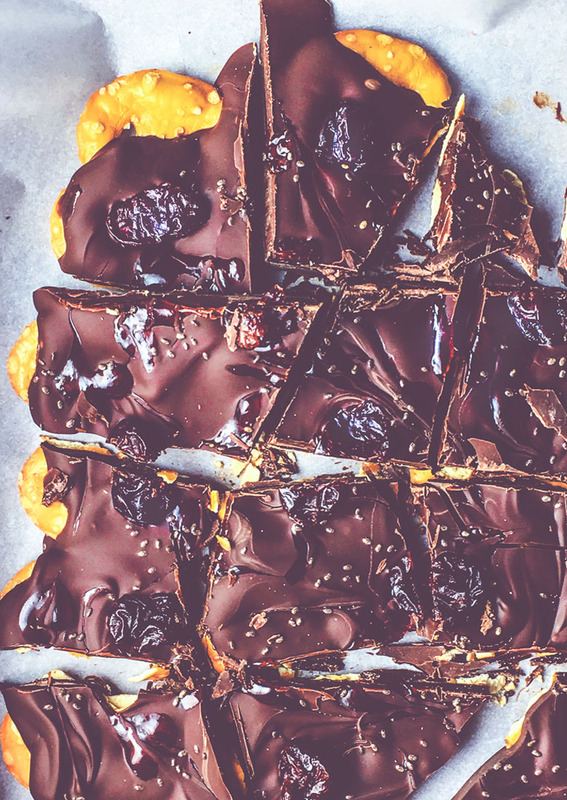 When I was thinking pretzel bark I was going into another direction, peanut butter to be exact. But when I came upon this jelly, I was like seriously? 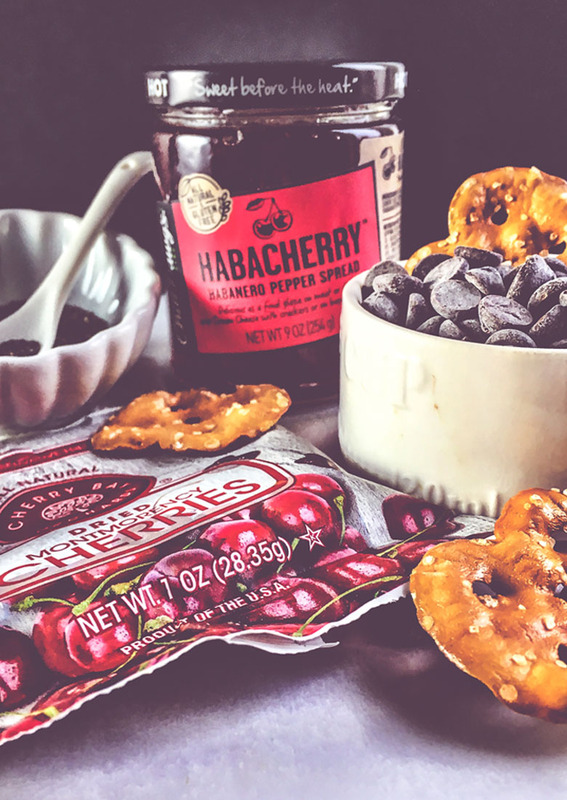 Hubba-hubba Habacherry habanero pepper spread… HELLO. To die for, truly this one was licked clean from the plate. So if you Like It Hot, baby this one for you. Prepare a tray with parchment paper. And line pretzel thins to form a rectangle. To thin jelly melt in a glass container for 30 seconds in the microwave. Set aside to cool. 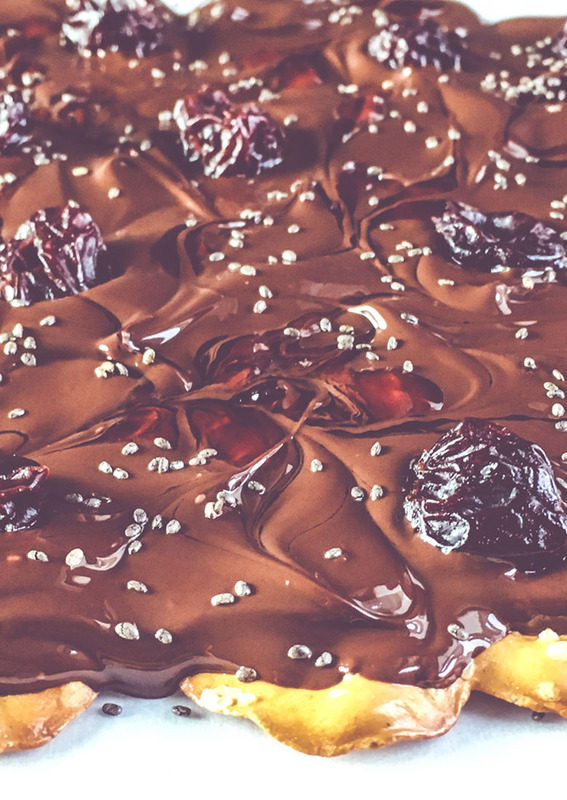 Melt chocolate in a glass dish at 30 seconds in the microwave. Stir, then melt an additional 30 seconds, stirring after till smooth. 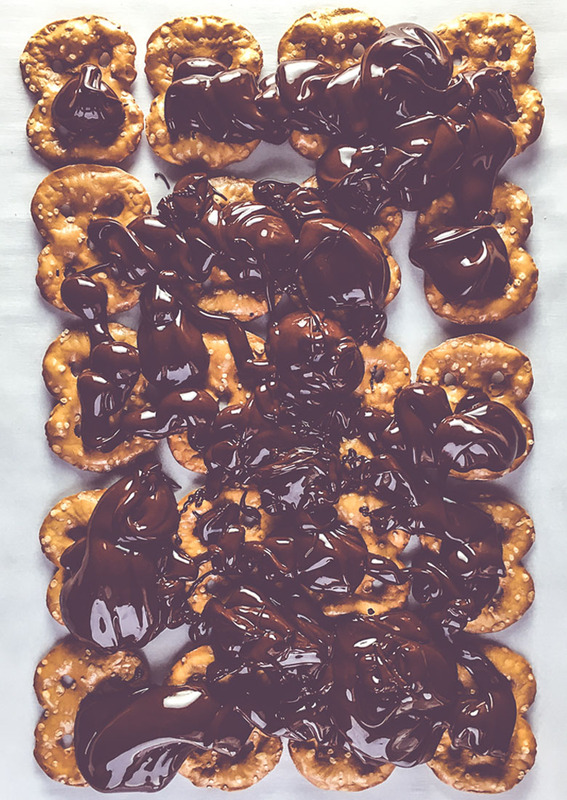 Pour the chocolate onto the pretzel thins evenly. 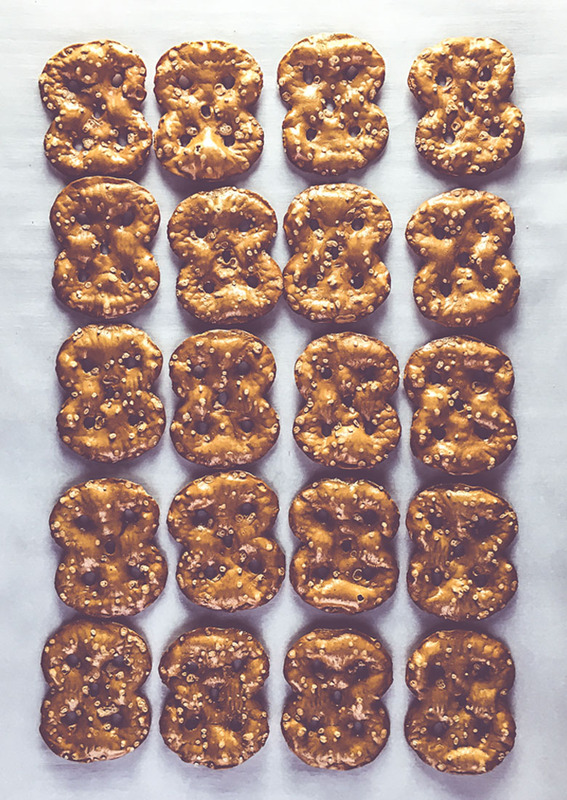 Spread to cover pretzels completely. Dollop the thinned jelly onto the chocolate rectangle. 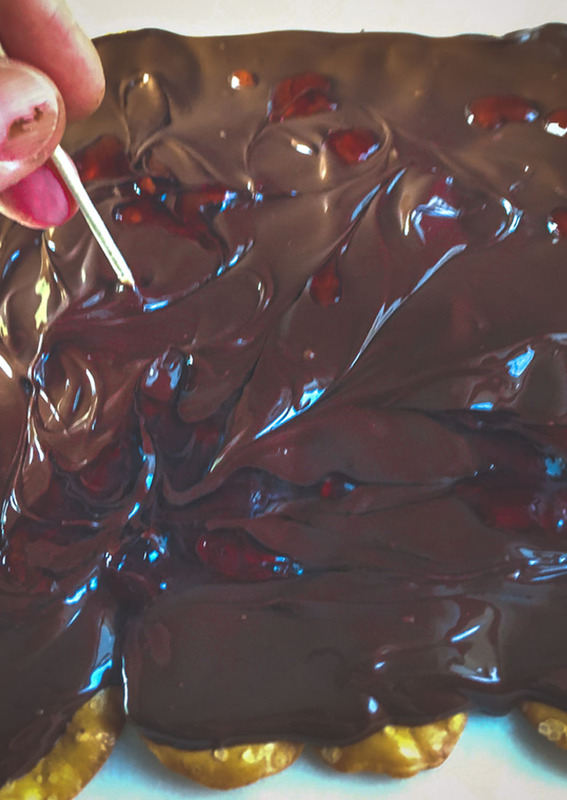 With a wooden toothpick or skewer drag the toothpick in the jelly into the chocolate. You are making lines up and down and across to create a marble effect. 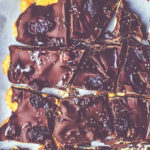 Sprinkle chia seeds over top, and press in the dried cherries onto the chocolate. Cool for 20 minutes in refrigerator or until firm. Cut with a long knife into pieces. Return to the refrigerator in the airtight container until ready to serve. Seriously, this was a split decision when I came upon the jelly so miraculously placed by the pretzel aisle in the grocery store. The glistening heat made this marbled bark a treat. Montmorency cherries have cardiovascular benefits, fights inflammation, helps with insomnia, and stabilizes blood glucose. 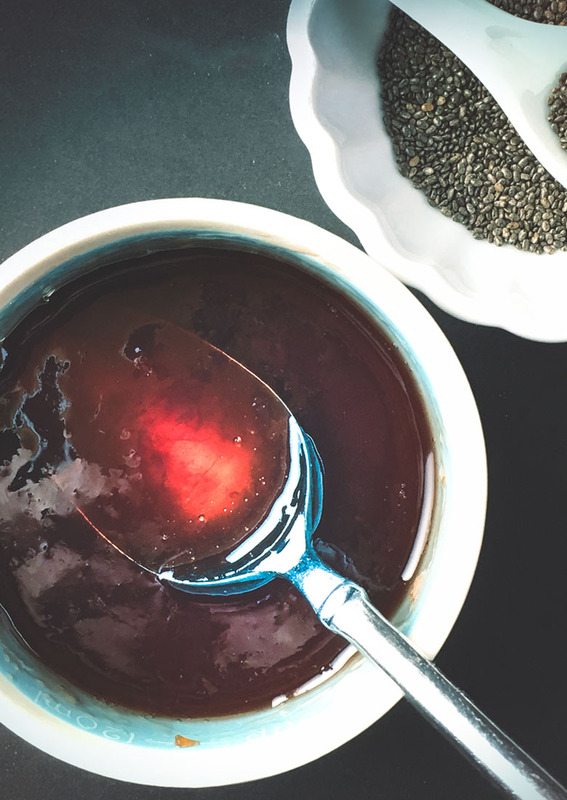 Chia seeds are known to support a healthy complexion, increase energy and are an excellent source of omega-3 fatty acids. Habanero heralds its heat from capsaicin. Capsaicin inhibits inflammation. The capsaicin in habanero peppers may decrease the risk of certain diseases. 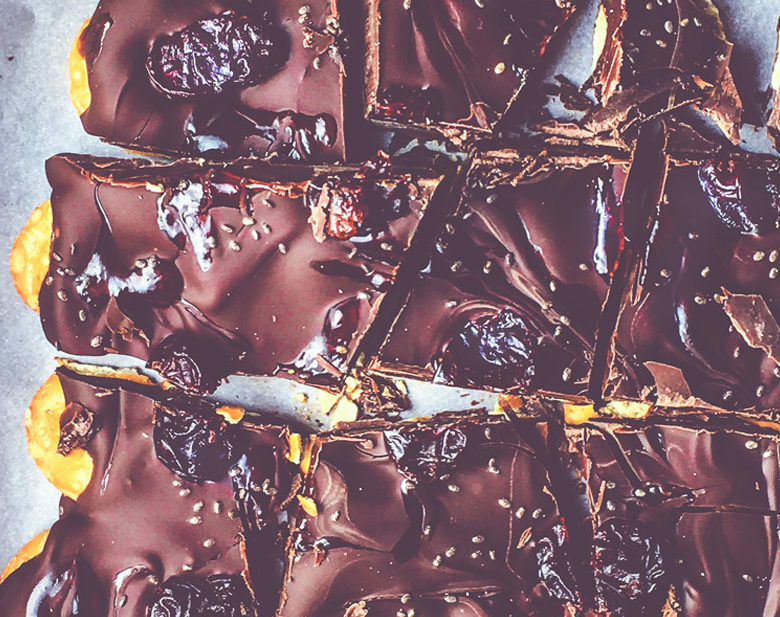 Dark chocolate is a superfood and one of the best sources of antioxidants on the planet. Improves health and lowers the risk of heart disease. Do you see a theme here? Heart-healthy valentines unite. Ditch the box, get the real stuff and feel good about it. This post is not sponsored. Just spreading the love for a great product. Habacherry Habanero Pepper Spread was purchase at Hy-Vee. 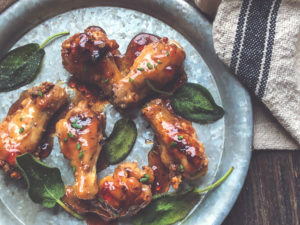 get exclusive Midwest and Grassfed recipes straight to your inbox. Join our MW+GF Clean Plate Club and follow MidwestandGrassfed on Pinterest! WE ARE FEELING THE LOVE with 41K Monthly Viewers!